This post was originally written on BARF for the 2008 Cal24. (original thread here). I've tried to edit out the non-bike-specific comments in this post, but if parts of it now don't make sense, the original thread will fill in the blanks. From a performance standpoint, I've swapped out the BMW's ESA shocks, which had worn out by 15k miles, and replaced them with Ohlins front and rear. The spring rate is set up for a larger than average bear, who likes to ride faster than average on twistier than average roads. It remains a smooth highway cruiser, but it is also surprisingly capable when the going gets twisty. I've run quite a few different types of tires on this bike, and my favorite, by far, are the Michelin Pilot Road 2's. The RT has a 7.1 gallon fuel capacity, and rarely gets less than 38 mpg. I usually fill up between 200 & 250 miles on a tank, but if I'm in fuel-saving mode I've gotten over 315 miles at a single stretch (on the 2007 Cal24, in fact, the leg before the checkpoint in Lone Pine). The trip computer has a miles-to-empty feature, which comes in quite handy. When it hits zero miles, which it likely will at least once during the rally, there are still 20 miles or so of gas left. Lighting is pretty important on these 24-hr rallies, so I've made some pretty substantial upgrades. Each of the 3 H7 bulbs has been swapped out with Ultrastars, which gave a nice bump in brightness and distance. I also installed two Touratech auxiliary lights; one HID on the left and one fog on the right. The HID is absurdly bright, while the fog is actually more useful for folks to see me rather than lighting up the road. 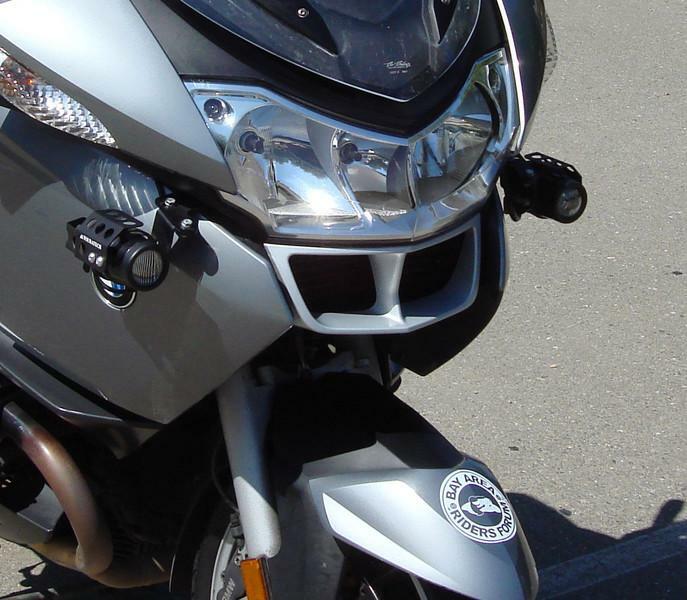 From a safety and reliability standpoint, I've added Hyperlites to the back of the bike to augment the standard brake light, these are two banks of LED's next to the license plate that flash continually when the brake light is engaged. 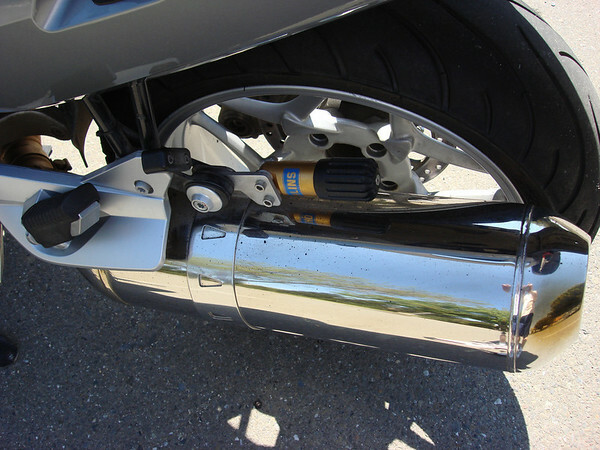 When the 3 bags are installed on the bike, I feel that the stock light isn't as visible as I'd like, and these help. In the glove box on the top right of the fairing, I've stashed a maglight (there will be several flashlights in different places on the bike), a reasonable set of tools for minor roadside fixes, a tire plug kit, and an electric air compressor that plugs into the BMW's auxiliary power sockets. I've saved one of the neatest gadgets for last, the SPoT Satellite Messenger. This is a small hand-held device that communicates with the Globalstar satphone network to report position, and a few different types of alerts. It sits right inside the top of my tankbag. 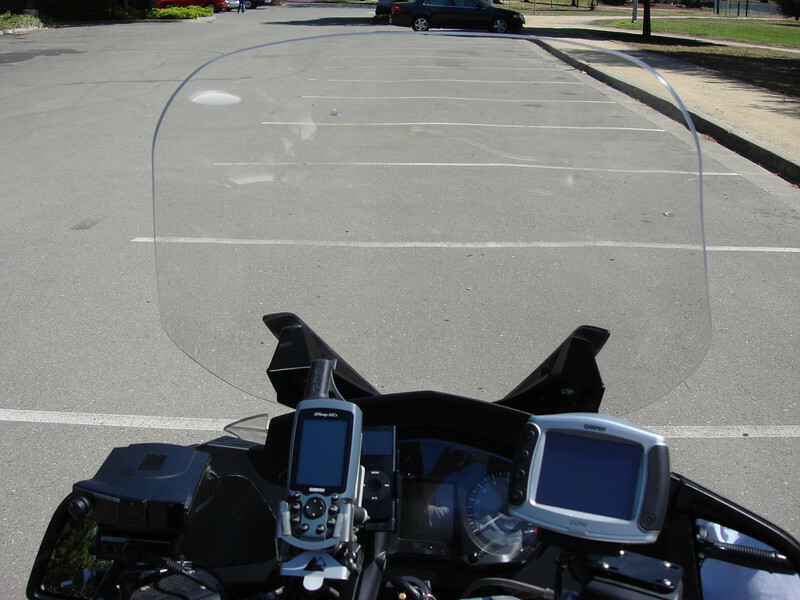 I will have it configured during the rally to send up my position every 10 minutes, so people here can track the bike throughout the day. That's a top notch setup for sure. 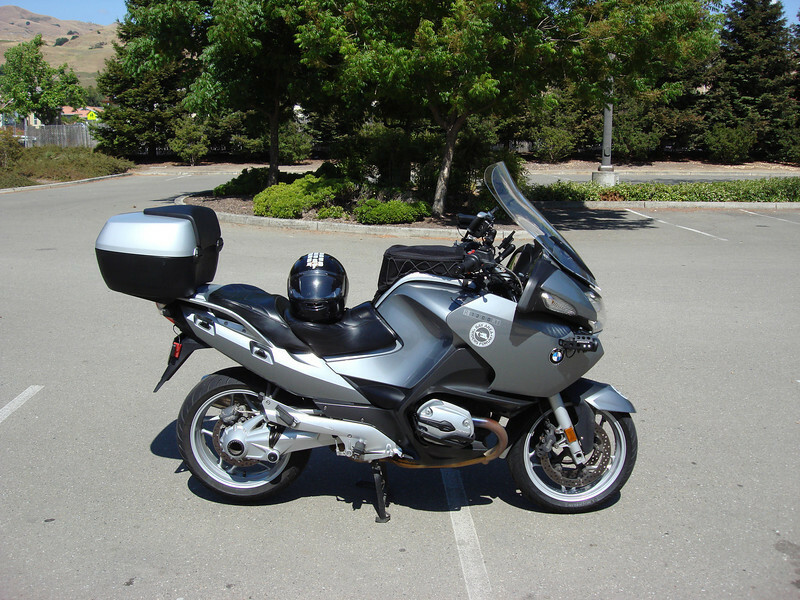 What made you choose the Beemer over an FJR? Do you worry at all about the final drive issue? Eh. It could happen, but probability is low. I have the BMW maintained as diligently as feasible, have had the final drive lube changed once already, and I've got an extended warranty, so the financial issue at least is out of the way if it were to crop up. If it happens to crap out right in the middle of a 24-hr rally, so be it, but it's not the end of the world. Heck, with the FJR people have to worry about the tick of death & baked personal body parts, though the severity of both of those issues was lessened for the 2nd gen. With the ST13 people have to worry about if today is the day theirs will display a terrifying speedwobble if they break into triple-digits. 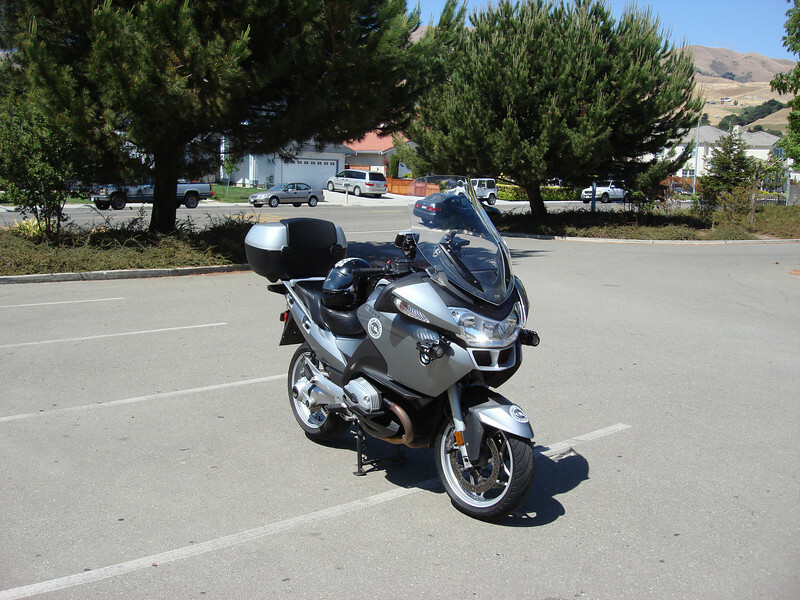 With the Gold Wing (1800) they need to wonder if the dealership that checked their frame for the potential weakness in the rear end properly determined it wasn't at risk. 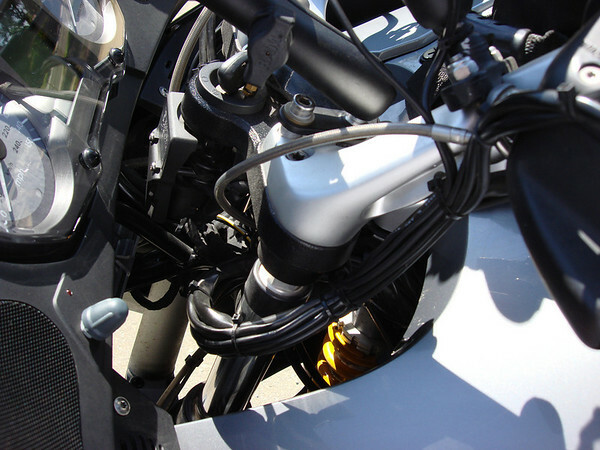 Do you worry about the frequent top-end oil-containment issues with the B12 motor? 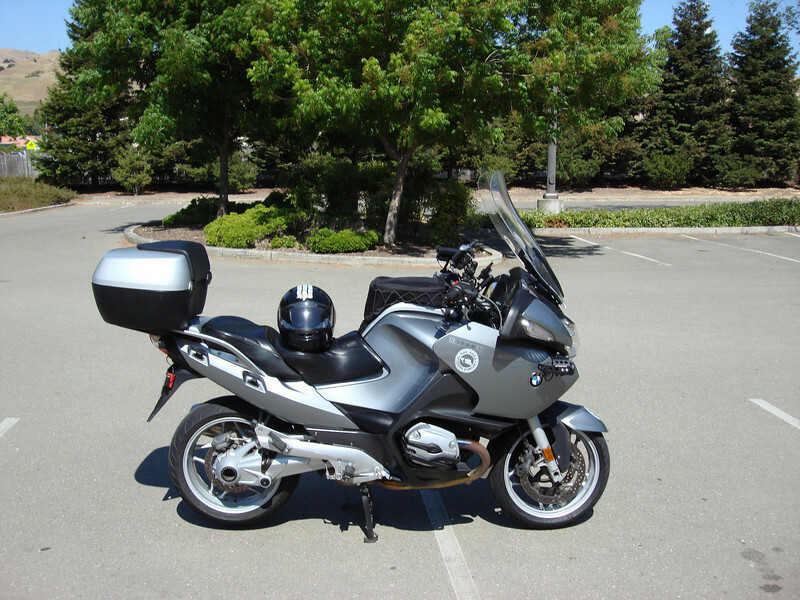 (Mine sprouted leaks like a sieve, one after another, as that motor aged; I owned a '99 B1200s). All of our mounts are just machines designed, built and maintained by men, and none of them are guaranteed to run forever with zero issues; the likelihood is actually that they won't, for one reason or another. I chose the RT because it is the most comfortable for me, it is the least-taxing to ride quickly over long distances, it has the most built-in features that aid a long-distance rider (including electronic cruise), it's terrifically comfortable for 2-up riding without being so large to inhibit performance when riding aggressively, and it has the most extra electrical capacity to add just about anything one would want without worrying about taxing the alternator or exploring how to add an aftermarket alternator. I guess you haven't given that much thought, eh? All very good points. On a 24 hour rally, you're right. I agree that you Beemer is a fantastic platform, I was just curious as to your thoughts on that issue. What are you doing reading the Cal 24 board? 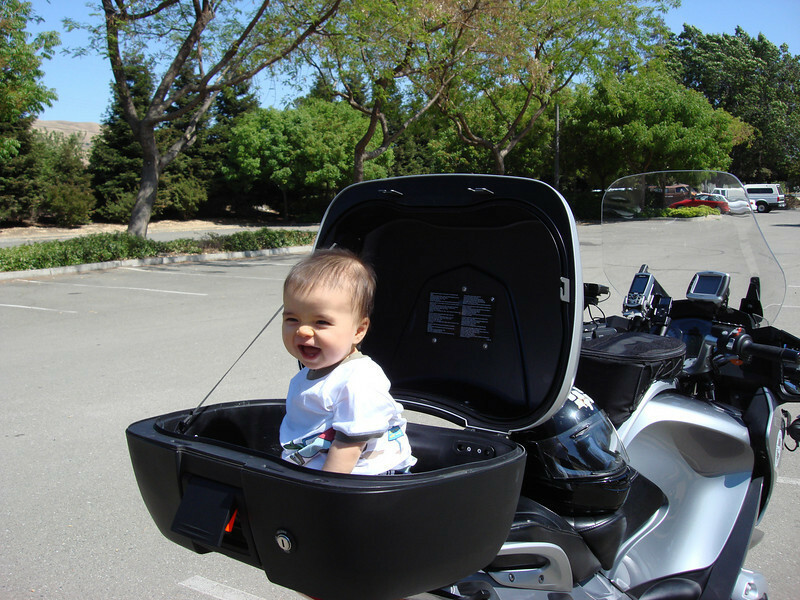 You are supposed to be getting your RE5s ready for your little trip this August. I have not seen you post much lately. I hope your RE5s end up to be more reliable than the BMWs on your summer vacation trip. One of my headlight bulbs went out over the weekend. They tend to go at similar intervals, so I'll change out both the right and left sometime this week, and I might just change the high beam while I'm at it, as I often have it on as much as the low beams. All 3 take standard H7 bulbs. I'm not the only one up at 3AM! I can't change any of 'em, my wife has tinier hands and has it down to a science. I went with the $50ish Ultrastar bulbs last time; I think I'll go for the $20ish Silverstars instead this time. I thought I'd be getting longer life as well as brighter bulbs with the Ultras, but they didn't last any longer than the normal bulbs. My high beam bulb is the hardest to change out as the ballast for my HID lamp is right in the way behind the center bulb cover. I have no idea how Annie is able to change it out, but she did it successfully last time. We need to teach Kyle to change them out... he's got the smallest hands in the house... at least for now. 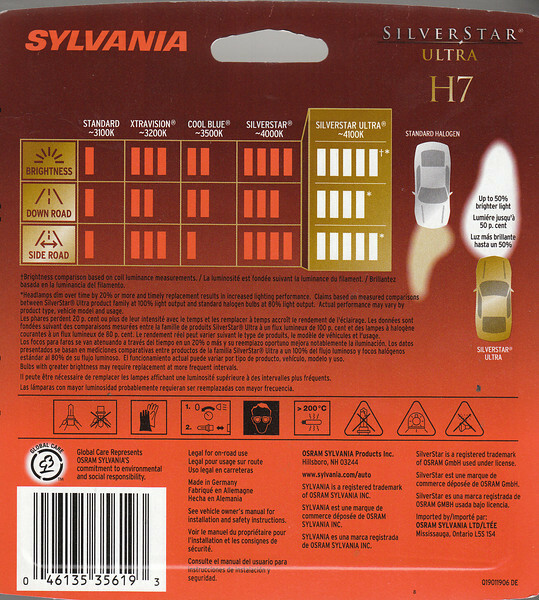 Sylvania says right there that the Ultrastars and Silverstars have much shorter lifespans than their "regular" bulbs. You might want to consider the PIAA replacement bulb. the H7-70755 is a "powersports" replacement bulb, that is built tougher than standard bulbs, and has a 4000k beam, and should last longer. I couldn't get 6 months out of the ultras, but I have a similar H4 PIAA bulb going on 2 years in the v-twin Nomad, and about 30k miles. Downside is the price, about double the ultra's, but us single bulb riders can't afford to lose a bulb. I checked my favorite shopping source, powersportsuperstore.com and they have the PIAA 70755's for about $37 plus shipping. You may want to try a couple of them out. I'll take a peek. I'm somewhat skeptical of the PIAA products; they are generally pretty good, but their pricing is always way out of whack. I'd be interested in seeing a side-by-side comparison of the brightness/spread of Ultras vs. the PIAA's. Double the life doesn't do it for me if they cost double and they aren't quite as bright as the other choice. If I had only 1 bulb up front, I'd probably have different priorities though, agreed. Ended up going with 3 new Ultras. They look great! And will hopefully get me through yet another dark night on the Cal24. My shocks were starting to feel a bit worn down at 46k miles. Had them serviced/recharged today, and they feel like new once again. I did replace the battery, as it was starting to crank the engine quite a bit slower, and go dead much quicker when off the charger. No fun trying to push start a BMW. i like the little navigator in the top box.